BIRMINGHAM, England — While last night’s women’s 3000 sure looked like a 1500 final (4:04 final 1500), the women’s 1500 officially got underway tonight with three 1500 heats featuring many of the same protagonists from last night’s 3000 including four of the top five from the 3000 and all three medallists. 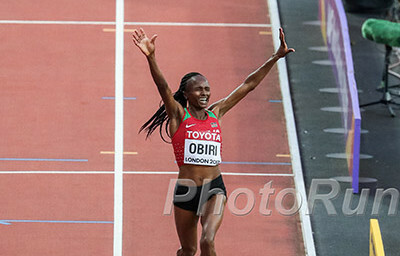 The women came ready to run, as according to Olympic Channel broadcasters, Genzebe Dibaba in heat #1 ran faster than anyone else ever had in a world indoor prelim (4:06.25) and then four women ran faster than her in heat #3. When it was said and done, everything went according to form, save for one big exception, as six of the seven fastest seeds and all the three medallists from last night plus 5th placer Shelby Houlihan of the US all moved on to the final. The lone, big casualty was that the #3 seed on the year, Dawit Seyaum of Ethiopia, the 2016 silver medallist at World Indoors in the 1500, failed to move on out of the third heat when all she needed to do was run under 4:09.42 and be top 4. 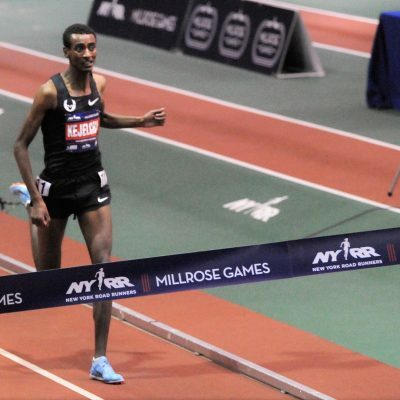 Seyaum, who raced sparingly in 2017 (just four times total indoors and out but did run 4:01.36) and had only raced once this year (a 4:04.38 win at the New Balance Indoor Grand Prix), ended up fifth in heat #3 in 4:10.20. This one didn’t start particularly fast, but it was fast enough (2:15.74 at 800) that once Genzebe Dibaba went to the front at 900 and started pushing the pace, she’d end up running faster than anyone else in a World Indoor heat. Laura Muir was a clear second in this one after her bronze in the 3000m final last night, and Aisha Praught continued her fine indoor campaign making the final on time. 2017 World #1 steeplechaser Beatrice Chepkoech led this one from start to finish. The modest pace (800 in 2:14.85) kept the pack together until about 450m to go when Sweden’s Meraf Bahta fell to the track just in front of Quigley. 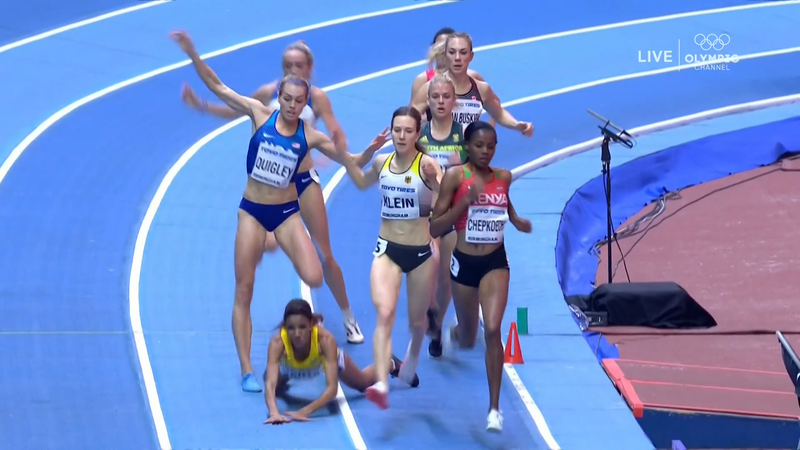 Replays showed Bahta’s legs clipping one another; it was unclear if contact with another runner caused this, but she would be put into the final. Quigley had to run around Bahta, but regained her momentum the next lap, and would close very well on the final lap to take second over Kate Van Buskirk of Canada as former NCAA star Dominique Scott faded from 2nd to 4th on the final lap. Quigley getting second was important as there were no time qualifiers from this heat. Anita Hinriksdottir of Iceland got the ball rolling in this one (65.39, 2:12.49) to try to get as many time qualifiers as possible from this heat. 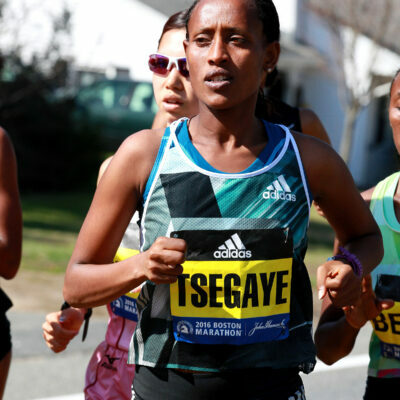 She was successful as four women in this heat would run faster than Genzebe Dibaba in heat #1, who had run faster than anyone else previously in a World Indoor heat. Sifan Hassan, after her silver last night in the 3000m, stayed near the front and took the lead at 900 as the pace increased. 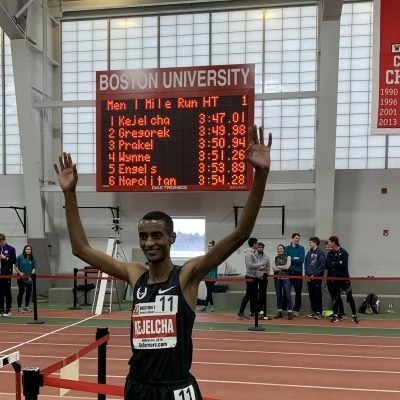 Dawit Seyaum made a huge move on the backstretch just before 1200m, as the racing really got underway, but it would prove to be too much too early. Winny Chebet of Kenya then took the lead from Seyaum at the bell with Hassan in position. 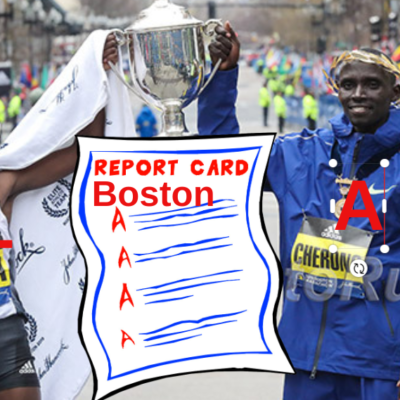 Hassan took the lead for good on the backstretch. Shelby Houlihan was in contention this entire time, but could not get up to Hassan or Chebet but still ran a quick 4:06.21 indoor PB to make the final. 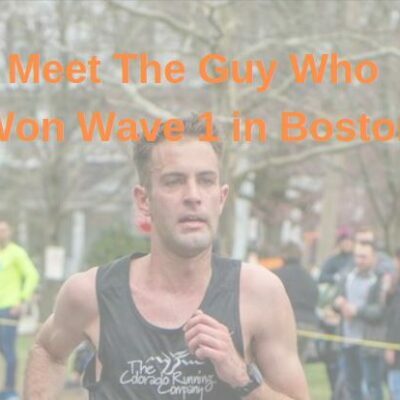 Quick Take analysis and post-race comments. We can’t wait for the final. Add in wild-card Beatrice Chepkoech, our #1 ranked steepler for 2017 and the second-fastest 1500 woman on the year (4:02.21), and you’ve got a very compelling final. The three heat winners today are our three potential winners for the final but Brit Laura Muir certainly should be in the mix for a medal and could steal gold if the other mistime things. Quigley was not DQ’d today, but she knows exactly how that feels as she was DQ’d in last year’s World Championship prelims in the steeple for stepping on the line on the curve. 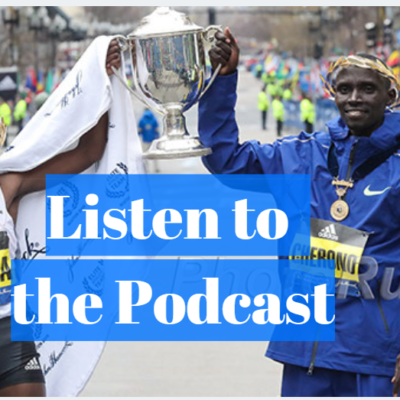 After the race, we asked her to share her thoughts on the slew of DQs in the morning session and Quigley went off. (Unofficially there were 16 DQs on Friday). The biggest issue, however, is the track itself, and the lack of practice time on it. The banks on the track are steep, and the athletes have only been able to practice on flat tracks during practice sessions. To go from that to trying to stay in a narrow lane around steep turns with very few — sometimes none — practice strides is tough.